Give pop of color to eyes! 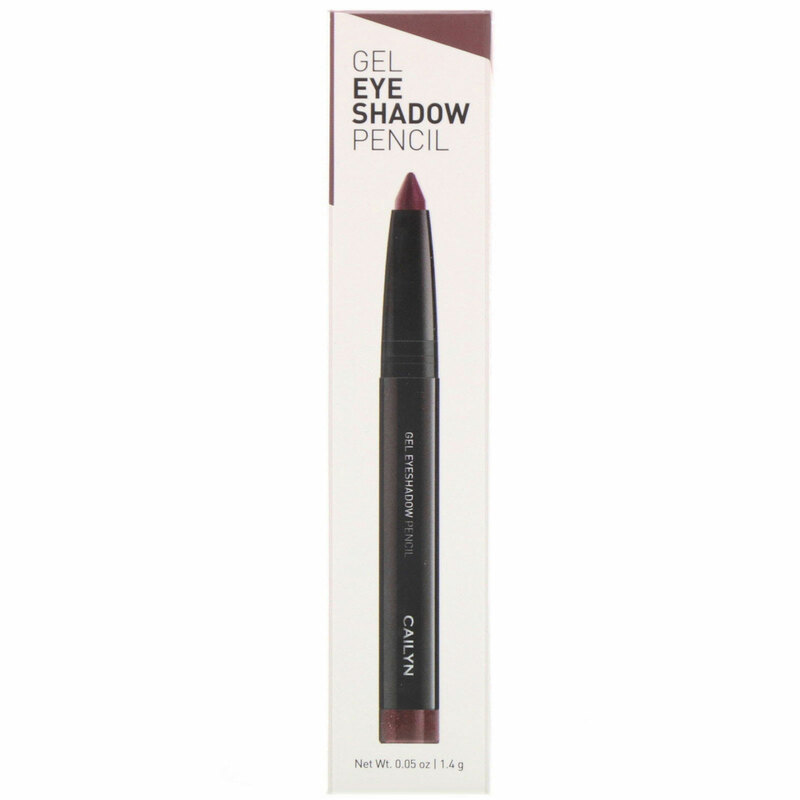 Cailyn Gel Eyeshadow Pencil is long-lasting, crease-free creamy gel eyeshadow with rich pigment and easy glide formula. Cailyn Gel Eyeshadow Pencil is perfect for shading, defining, highlighting, and for creating bold smoky eyes. Convenient retractable pencil allows this beautiful eye shadow a perfect companion in every girl's makeup bag. Gently glide Cailyn Gel Eye Shadow Pencil across the eye lids. Wear as it is or blend using fingertip for natural smoky look. Layer multiple shades to create a custom look. Isododecane, synthetic wax, ethylene / propylene copolymer, polymethylsilsesquioxane, silica, polybutene, hydrogenated polydicyclopentadiene, sucrose tetrastearate triacetate, coco-caprylate / caprate, oryza sativa bran cera, synthetic beeswax, hydrogenated castor oil, pentaerythrityl tetra-di-t-butyl hydroxyhydrocinnamate, mica [cl 77019], iron oxide red [cl 77491], iron oxide yellow [cl 77492], iron oxide black [cl 77499], manganese violet [cl 77742], titanium dioxide [cl 77891].